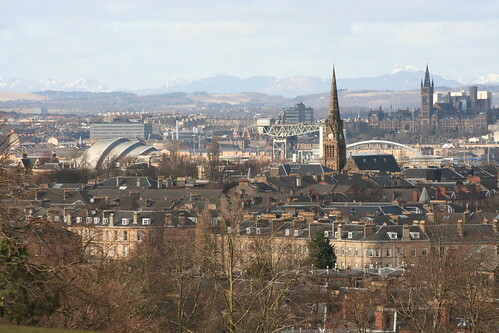 I was really pleased with the zoom lens to be able to capture several landmarks in one go *and* the hills in the background as well with such clarity. Landmarks you may recognise from previous photos here are (L-R) the SECC (Scottish Exhibition and Conference Centre, also known as the Armadillo), the Finnieston Crane, the top of the Clyde Arc (or Squinty Bridge), and the Main Building of Glasgow University. 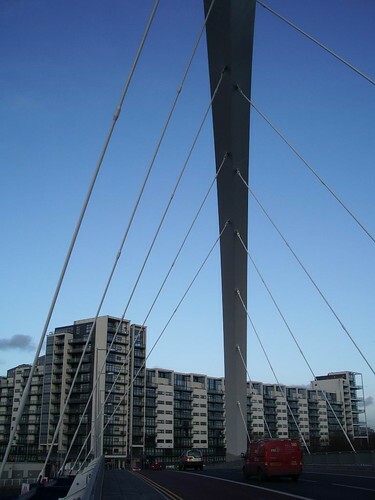 Further down the river from yesterday’s bridge is its more famous and bigger neighbour the Squinty Bridge (it’s called the Clyde Arc really but nobody calls it that). This picture was taken last autumn, I think they’d only just started building yesterday’s bridge (which I still don’t know what it’s called!) then. 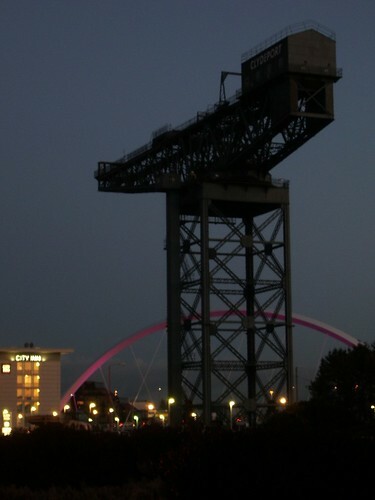 The crane is the Finnieston Crane which has also featured here several times already. 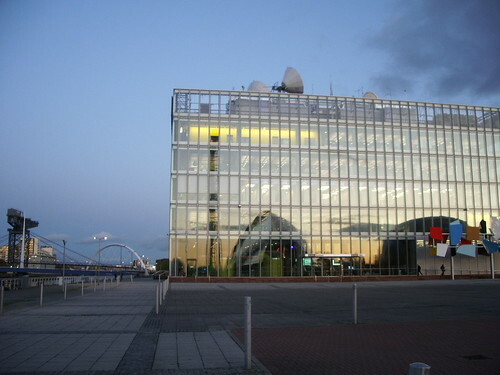 This is the new(ish) BBC Scotland building, on Pacific Quay. 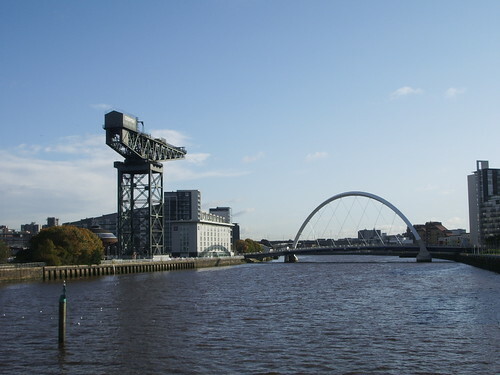 In the distance you can see the Finnieston Crane and the Squinty Bridge, and that’s the BBC’s next door neighbour the Science Centre, IMAX cinema and Glasgow Tower reflected in its windows. 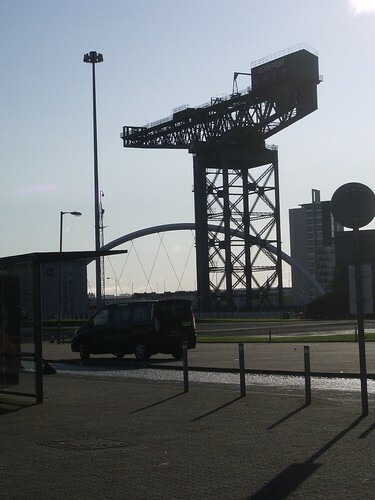 Here’s the Squinty Bridge and the Finnieston Crane. Another old-ish photo (taken in November last year). I’m away for the Easter weekend but magic pictures will still appear.